Reaching an audience is the most difficult part of a business. This is vital because an audience is what keeps a business alive. It is the point of having a business, to reach people to earn a profit. 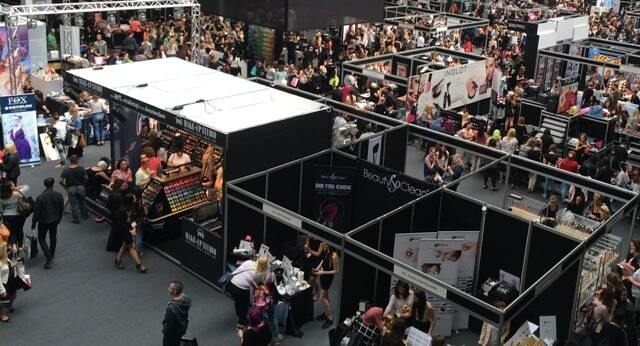 Trade shows are one of those avenues that help businesses reach an audience. Trade show booths are one of the ways to attracts audiences to your brand. That is why, design is important, and a successful stand design in Frankfurt does not necessarily mean that it will apply to another country. Always remember that design has its limitations, and culture normally affects that. Here are other ways to attract others to your brand beyond a stand design. People are competitive by nature. Some more so than others. That is why engaging an audience through games is a good way to attract them to your stand during a trade show. It works because it plays with human emotions including joy, curiosity, greed, pride, and envy which helps keep them engaged longer. Any game works, big or small, as long as you fit it with the audience you want to attract. Everyone wants to be entertained, one way or the other. That is why having one as part of stand design helps in drawing the crowd’s attention, and keeping it with you for a while. This does not have to be a song or a dance number, it could easily be integrated into your display. For examples, some use chocolate carvings, robots, and caricaturists, just to name a few. It could be anything or anyone that could interest the crowd. If you have enough money to shave out, hire an entertainer to do magic tricks, or maybe a popular celebrity. It could be anything, or anyone, as long as it is consistent with your brand and the kind of audiences that you want to attract. It may not be particularly be playing into the design of the stand itself, but it attracts people regardless. This is especially the case when the giveaways are as useful as pens, mugs, or plates, to name a few. Just make sure that you have your brand’s name on them, otherwise, it defeats its purpose as a reminder of your brand. This can be used by telecommunication companies that offer internet services. Showcasing this through free Wi-Fi gives the public an opportunity to test out your company’s power. On the other hand, if you are just another brand using this tactic, the public should be staying long enough to become interested with your brand to actually look around and see what you have to offer. Having a business is one thing, to attract the public to your brand is another thing entirely, and although Frankfurt’s stand design in one trade show showed promise, it does not always apply to every city you go to. These are just some of the ways that consistently allows you to attract the public without having to rely on the design alone. It has its limitations, and thinking outside the box helps. I hope you enjoyed this blog post about outside the box thinking and driving foot traffic at trade shows and conventions. Interested in more articles about marketing at trade shows?